I've discovered IP radio - thanks for the topics on here, all. One thing strikes me after chatting this morning to Scotland, America and the UAE - there are nice and decent people. I was the only one with a ham licence, but the quality of the people and the politeness was impressive. People you don't want to say bye to after just a few overs. Strange callsigns, but who cares. It the quality of the people that matter. Now - I'm sure there are thousands of idiots too, considering hello and the others are free, but so far, I've talked to more decent people ink two days that in years locally. I saw a review for a mobile - a Senhaix H60 - but there seem to be none about yet, which is a shame as it appears pretty decent and chunky enough for me. On my phone it's fine, but a proper radio would be better. Should I use a proper radio, via tethering to my mobile and using it's data plan, or buy a data only sim? Who's the best source of data sims for IP radio? It looks like I can buy a couple for around $200 each, so night be worth buying two and selling one till dealers pick them up. I use a one year 6GB (500mb per month) EE card on my Inrico handheld, as do several on the Network Radios group. The data usage of network radio is minimal, so 500mb per month is loads. My 12 month card with 500mb per month cost me £16.99. 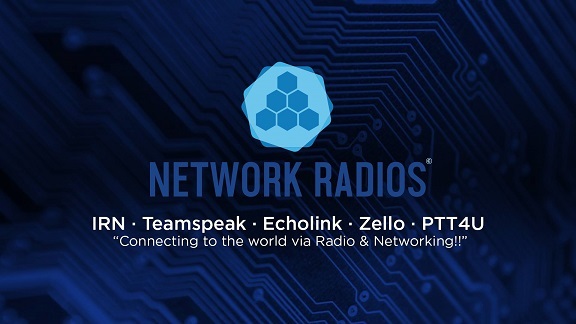 If you load Zello, I can highly recommend the Network Radios system. It is mainly licenced amateurs, but not only so, some people have no interest in radio at all. To use Network Radios, you load channel one, call for a moderator to activate you & then load a few other channels. It is busy, moderated & full of interesting people to talk to. Just to confirm. it is Network Radios with a gap in the middle & an s at the end of radios & the logo in the image below. This is a very interesting market which I have yet to explore but it seems tempting. A fellow radio amateur friend has a shark rf open spot thingy and anytone stuff and he loves this zello thing. It is a little strange as it is amateur radio but you do not need to be licenced . He too was impressed by the good practice used by un-licenced users. I still cant get my head around it fully as the more he explained, the more confused I became . Perhaps Im too set in my ways.. but on the face of it, it seems like a great idea for those wishing to go into the hobby can practice operations and gain some experience. Should have been done years ago I suppose. With regards to a data SIM package, Tesco have some good offers all the time for SIM only deals. You can set a safety buffer at the lowest value @£2.50 so whatever happens even if you take the SIM aboard, you wont get any nasty bills. So if you take a £7.50 package and go over the 1gb allowance for that package in a given month, the most that can be charged to your account is £10 (if the safety buffer is set to the lowest at £2.50..there isnt a zero buffer unfortunately). Handy for kids, no horrible surprises when the bill comes in. A few clubcard points thrown in as well. Not in the same league of pricing as the 500mb per month EE one. A mode I will look into further in the coming months with a view to perhaps getting one myself, keep us posted on what you need to get started and your findings as a newbie to all this stuff G4RMT if you would be so kind. The above is a simple to read overview of Network Radios written by Essex Ham member Paul G7BHE. Using my iPhone I've had some chats on that network, which is pretty nice - and the best thing is the audio quality is better than normal FM, and loads better than digital. I'm going to get one for the van as the other stuff android can do will be useful. The only annoying thing at the moment is that my van stereo, which is rubbish but does run android is conspiring against me - the mic won't work. It receives fine, and transmits silence. I've even managed to get zello working on the MacBook, but again, the mic won't work! Had a chat with a group made up of people in Northern Ireland, Switzerland and America - so it seems to work pretty well. Theres a big bunch of folk getting wound up because they say it's not radio - but it's just different radio - and the nice thing is licences aren't important. People seem to be judged on how they come across - which is pretty good really. I also ordered a very cheap handheld from a supplier I usually buy sound equipment from. A make I have already, so that will be interesting. The vehicle one I want doesn't seem to be available from the usual sources, so I've got a price from the factory - but I'll have to buy two. I'm quite excited by these. Thanks for the card info Alan - I will take a look. I've got a couple ordered. Assuming the worst case, with 20% VAT and 5% import duty, plus the handling charges for the TT payment I can get them for about £200 each, which seems to be worthwhile. I'll get the two so I can check they really are OK (as reviews so far are thin). Buying from china is a little riskier of course than buying through a dealer, because you get the proper warranty - well, the possibility of one and perhaps protection from the consumer credit laws, but the only real issues with warranty are simply cost of shipping - it might cost around £15 for them to ship to us, but going back the other way can easily be double as we pay through the teeth for shipping internationally with even tracking, let alone insurance. DHL arranged in China is cheaper than arranged here! There's a bit of a faff ordering direct if people like Aliexpress have no stock (which they don't yet) as you have to buy direct and they are only geared up for multiple shipping and payment, and you have to be willing to give them the money on trust, because with a bank transfer into a foreign bank, you won't get it back! I could probably buy more and put them on Ebay, until some idiot comes along and does the same thing and makes a fiver on each one - as they do with Baofengs. It's full of people who sell common items at the cheapest possible price - so unless you ship thousands, it's just not worth it. I can sell the spare that way I think, just to recoup the outlay. I'm just waiting for the IBAN details so I can transfer the funds. It seems there are two of these - the Senhaix and the Anysecu, who seem to be the same manufacturer. They are in Ebay, direct from Hing Kong at the moment. Farewell amateur radio, hello internet. It's been that way since RTTY started.the net is just a conduit. In fact, it could revitalise the hobby because how many times do we get people who will not, or cannot put up outside decent antennas? So they are limited to just a few miles. A hand haled in my house cannot access any repeaters and the number of locals in it's range simplex is zero. A portable desert. I cannot access any digital nodes either, bar one but he's never at home and it's not able to be left turned on. I have a perfectly good HF radio with hardly any miles on the clock, but the building of houses at the rear of my property mean I wipe out their TVs from an antenna in my garden. Ham radio is about communication. These radios (and they are wireless, after all) mean you can chat to people anywhere in the world. Surely that has got to be the best result possible. How many new licensees ever pull radios apart or can master a soldering iron? They want to communicate with a low outlay. Sure - HF and long range VHF/UHF are lower in popularity, and will get lower - but do people actually want to do that kind of stuff any longer. Ham radio is having another growth spurt.